Thanks to our sophisticated brains, we are intellectually superior to all other living beings on this planet — can’t tell how we stack up against aliens though! 🙂 And while not all people are equally intelligent, we all have the same potential to grow mentally. No one is born a genius. Your brain needs two things to get stronger and smarter; mental training and proper nutrition. What I mean by mental training is learning by reading, exploring, experimenting, trying, etc. That is basically how we acquire knowledge and intelligence. 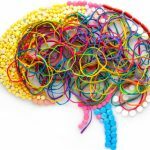 In this article I want to focus on the second requirement for brain power, i.e. proper nutrition. 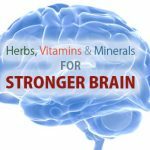 Although there are no magic mushrooms or spells that can turn you into a brainiac, there are many natural nutrients that are important for brain health and may help you enhance your cognition, thinking ability, and memory as you train your brain through learning and practice. 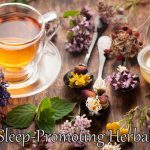 The following are some of the best herbs, vitamins and minerals that have been shown to be brain healthy. Huperzine A is a natural compound that is extracted from a plant called huperzia serrata (Chinese club moss). Huperzine A blocks an enzyme that breaks down acetylcholine — a neurotransmitter. In other words, it increases the levels of acetylcholine in the brain, which plays a key role in thinking, learning and remembering. 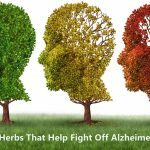 Clinical studies showed that Huperzine A can help prevent cognitive decline, and may be helpful for fighting Alzheimer’s and dementia. It has also been found effective for improving memory in teenagers and adults. 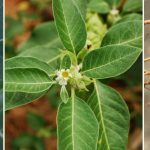 This plant is one of the most widely-used herbal nootropics. As a natural medicine, Bacopa Monnieri has been used for memory problems, anxiety, and ADHD. In clinical trials, Bacopa Monnieri was found beneficial for memory formation and retention, as well as enhancing cognitive performance. Although vinpocetine is synthetically made for commercial use, it was originally derived from the periwinkle plant Vinca minor. 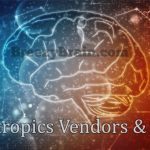 Vinpocetine is used in dietary supplements for different health issues, but it is especially used as a natural nootropic. There is some evidence that Vinpocetine increases blood flow to the brain and protects neurons against damage. It can help improve thinking skills and memory. Its neuroprotective effects may also protect against amnesia. Vitamin B6 is one of the essential vitamins for brain function. 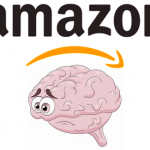 It is required for the production of the following neurotransmitters in the brain: dopamine, serotonin, gamma-aminobutyric acid (GABA), epinephrine, and norepinephrine. Vitamin B6 has been shown to help regulate mood, reduce mental fatigue, and improve memory performance. 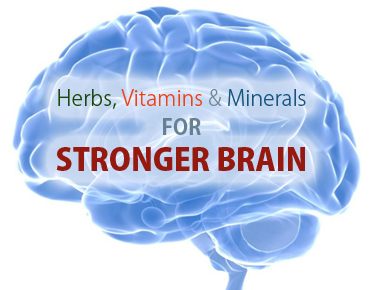 Another B vitamin that plays an important role in keeping your brain and nervous system working properly. 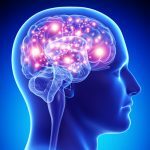 A study found that people who do not consume enough Vitamin B12 suffered from cognitive impairment and brain atrophy (shrinkage). 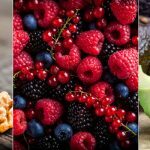 The health benefits and uses of vitamin E are endless. The body needs this vitamin, which is also an antioxidant, to complete many biological functions, including neurological functions. Some clinical studies confirmed the benefits of vitamin E in reducing memory loss and enhancing brain performance. Magnesium is one of the essential mineral nutrients in the human body. It has a significant role in cardiovascular and mental functions, as well as energy production. 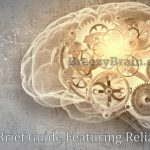 One study found that increasing brain magnesium levels leads to improvement in learning abilities and memory. This silvery colored metal is also an essential mineral for the growth and functioning of the body and brain. Zinc exists in the brain where it regulates communication between neurons. Zinc supplementation can improve memory and cognitive function for people who don’t get adequate amounts of it from their diet. It may also be effective for people with ADHD and depression.